I’ve sat on this award over a week, wondering what more to name about myself that could possibly be of interest to anyone. I accept the thoughtful nomination from Belsbror. I find there’s a lovely spirit to his writing. As much as I really do appreciate it, I will decline the Liebster from Defusing Chaos, which no one has been able to tell me just what exactly it’s for. I’d rather be working at content than posting awards I’m not sure I deserve. 1 Add the award logo to your blog. 2 Thank and link back to the person who awarded you. 3 State 7 things about yourself. 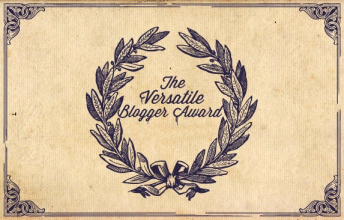 4 Nominate 15 other bloggers for this award and include a link to their site and tell them that you have nominated them. I was a Linguistics major and Classics (Latin & Greek) minor in college. I have allowed myself no time for a movie these six years as a mother. I haven’t been in a theater in seven years. I freelance for Home School Enrichment magazine. My next article due out in four months is the series exploring the impact of technology on learning from this blog. Here‘s an installment. I wanted to marry a saxist or drummer. I did the latter. And my boy debuted in a Brazilian Samba band of 5th graders when he turned five. Got me a 2-for-1. I taught piano a number of years. My husband would love me to go back to it, but I don’t want to lose time writing. I have a of CD of devotional songs I wrote and sing. I adore CS LEWIS. I said adore, right? This morning I found 500 followers on my board. I wish words could do justice to the ways you have enriched the journey. All I have is this token of friendship and warm regard for those who have taken the time to look at what I see. This entry was posted in Blogging, Writing and tagged Blog, Blog Award, Blogger, Blogging, Communication, Friendship, Gratitude, Words, Write, Writer. Bookmark the permalink. Lewis is excellent. The professor likes The Horse and his Boy, best adventure story ever, and the Screwtape Letters. You pulled some of my fav of his right out of my mind. Give them back. I considered a post on the Horse and His Boy that would include the outline of the brilliant plot I drew up for my private students. I shan’t! They’re the professors now! Oh, he’s a lot tougher than thAt. Oh dear. Dadblameit! I suppose I won’t be able to convince you to change your mind, so I’ll admit defeat peaceably. I’m doubting my linguistics training will handle the Punchy Landguage I’d been eyeing. If it makes you feel any better, the tongue seems too sophisticated for the Wayfarer. I, too, resign. Wow! Thank you!!! I never look the gift-horse of an award in the mouth. I really appreciate the shout out. XXOO And I gratefully accept! Question for you: when you say you haven’t been in a theater in 7 years, do you mean a movie theater? Thank you, Holistic Wayfarer, for the nomination. It was surprising and exciting to see your comment on my about page! I accept and will try to get my end taken care of in the next couple days. I can’t wait to surprise someone else with this award! By the way, I love your blog! Congratulations on 500 followers! Thanks, and congrats to yOu. I obviously enjoy your work as well. I hope you enjoy the Mafia post I put up just as I got your like. You really have been gracious. Thanks. Many congratulations. The Liebster Award was originally intended to be given to people who have less than 200 followers. As far as I understand, it is to recognise that blogger’s achievements so far and to encourage them in their blogging journey.